January is the time when we all make a ton of resolutions (#newyearnewyou), but hitting the gym every day isn’t always the easiest task during the winter. Snow makes it difficult to get anywhere before or after work, and shorter days means all you want to do is snuggle up in pajamas and binge shows on Netflix. With spring finally here, though, you might be ready to get back into the swing of a regular fitness routine—but that doesn’t mean you should go full force right away. Here’s what top trainers have to say about easing your way back into the gym after taking an extended winter break. If you decided to forgo your usual indoor cycling classes or outdoor runs the last two or three months, you can expect a few changes to your body. “Your muscle mass will start to decrease, and fibers will begin to lose their fat-burning capabilities,” says Jessica Schatz, master Pilates instructor. Muscles that you don’t use often in everyday life—such as your abs—lose tone the quickest, while your hamstrings and quadriceps (which you use when walking) take longer to lose muscle, says Schatz. You’ll also find yourself getting winded faster. “Your aerobic conditioning starts to decline after two weeks of not working out,” says Astrid Swan, celebrity personal trainer and Barry’s Bootcamp instructor, “so adding an additional nine weeks or so will decrease the amount of blood flow pumping through the heart as well as a decline in oxygen being delivered to your lungs,” she says. Finally, there’s the mental effect. Breaking your routine and taking a significant amount of time off makes it harder to jump-start exercising again, says Dempsey Marks, certified personal trainer and creator of the PreGame Fit fitness program. One reason why? “Working out helps you handle stress better, releases endorphins, and often gives you clarity,” says Swan. When you’re not experiencing that post-exercise high regularly, you could feel unmotivated to get back to the gym. When you’re ready to get back into the swing of things, there are several approaches you can take. Marks recommends considering your personality, fitness level, and objectives when deciding on what type of exercise to do. 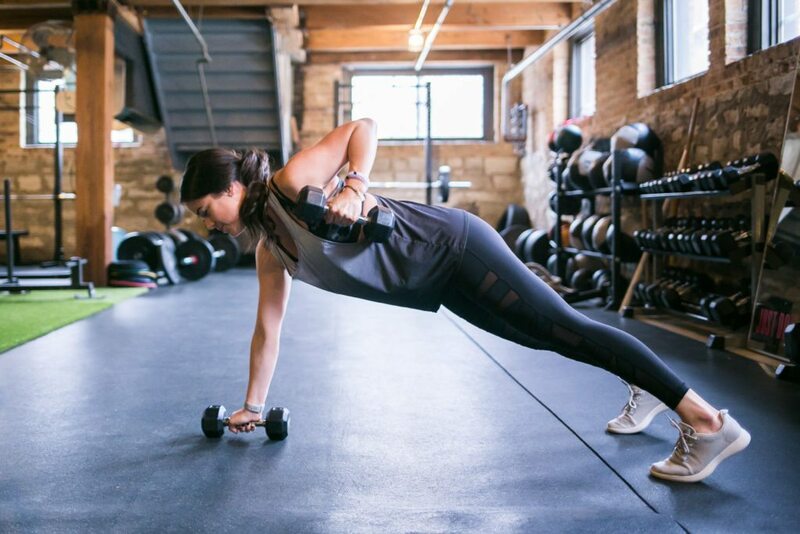 She suggests traditional exercises like squats, lunges, curls, and presses, using lighter, five-pound dumbbells to do three circuits of eight reps for each exercise. Swan says a flow yoga class is a great way to get your body—and mind—back into the game. Overall, it’s a good idea to incorporate cardio, strength, and flexibility back into your life, says Schatz. That’s because cardio helps build stamina, strength builds muscle mass, and flexibility prevents injury, she says. The last thing you want to do is injure yourself when you haven’t gone to the gym over the winter. Aim for exercising two or three times a week to begin with, and work out for just 20 minutes at a time, suggests Schatz. The next week, work out for 30 minutes at a time, and then by week three, exercise three to five times a week for 45-50 minutes at a time. And remember to stay hydrated, says Schatz. Remember that it’ll take time to get back to where you were pre-winter. All of our experts agree: Stretching is key post-workout! Incorporate foam rolling into your fitness routine for recovery, too. “Foam rolling increases blood flow to the muscles and is an amazing self massage that helps relax the fascia surrounding our muscles,” says Delpozo. “Foam rolling will create better mobility, increasing your performance and help with recovery.” And if you have sore muscles post-workout, take an Epsom salt bath to soothe them, says Swan.